Video gamers dedicate thousands of hours of training and spend their own money for the best systems as well as skins, upgrades, and items that show the world their persona. They need to know that their hard work and monetary purchases are protected. AVAST is proud to announce our sponsorship of Team FNATIC in the 2014 eSports season. Their professional video gamers are tops in the world competing for millions in prize money while thousands of fans cheer them on. Read more about the sponsorship. On Monday between 17:00 and 18:30 CET, several of the most popular professional gamers on Team FNATIC had their streaming games interrupted by a TeamView attack. Their PC was remotely controlled, and the player was logged out of their gaming client. A notepad file appeared with the words, “You’ve been hacked. Fnatic, this is game over,” and other messages. 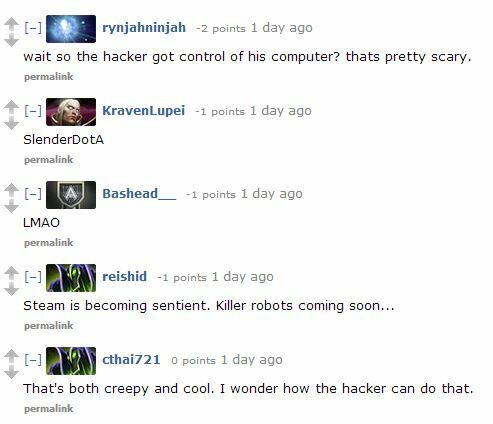 The hacking caused quite a stir on Twitter, reddit, Twitch.tv, and YouTube. The conversation went from surprise to dismay and often to hacking, malware, and the threat it presents to eSport professionals. To be honest I would freak out and turn off PC immediately.